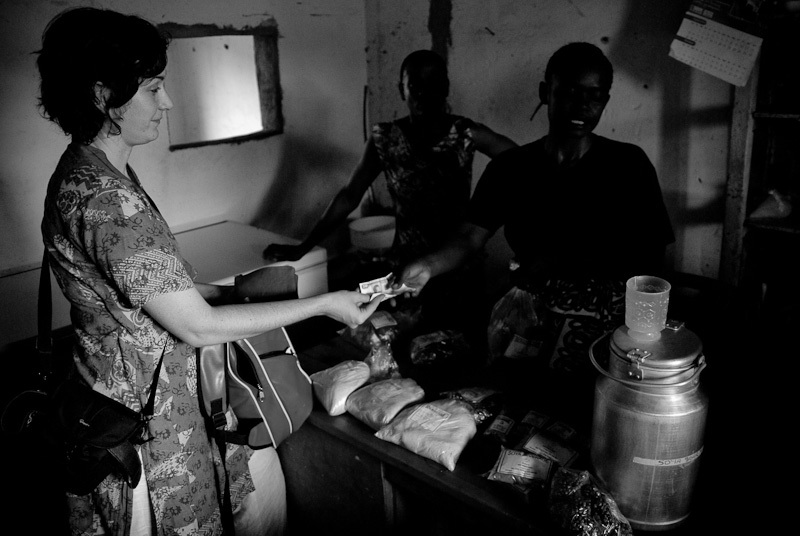 In October 2010 DemNet Foundation took 3 Hungarian MPs on a fact-finding trip to Kenya. Miss Virág Kaufer (LMP), Mr Mátyás Firtl (KDNP) and Mr Attila Gruber (FIDESZ) visited schools and projects supported by V4 countries as well as meeting Sarah Obama, the US president's grandmother. A video to share their experiences can be seen here (Hungarian). 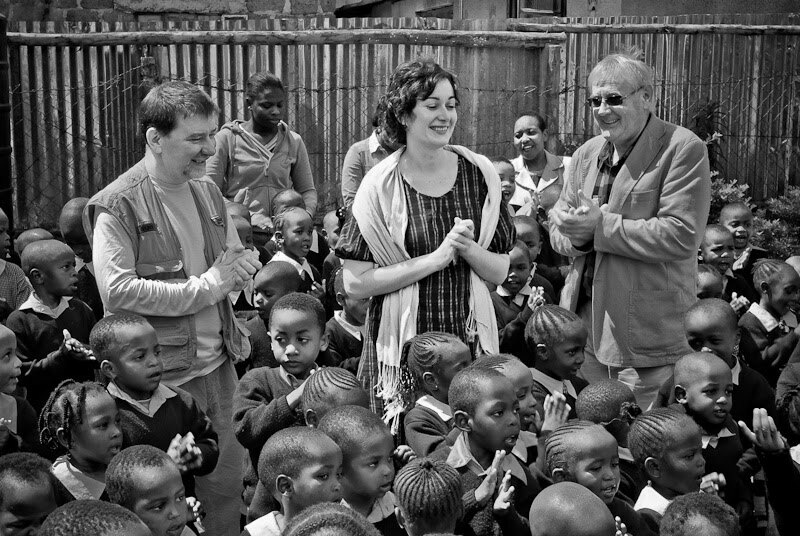 Hungarian MPs in a school in Kibera, Nairobi. 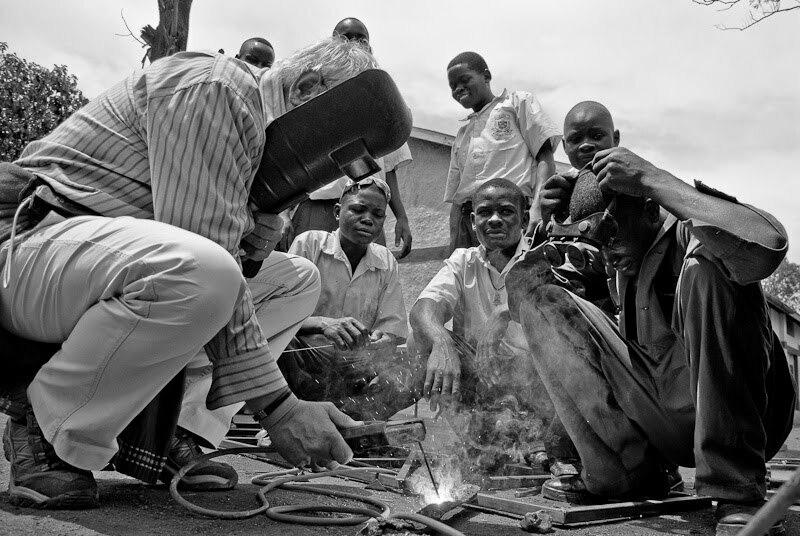 Mátyás Firtl teaching welding to students in Sega. 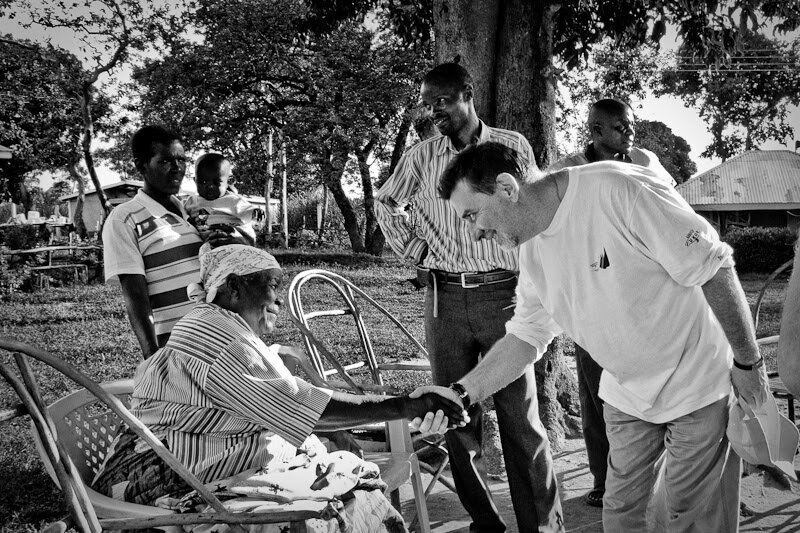 Sarah Obama welcoming Attila Gruber to her garden. Virág Kaufer supporting local small producers in Sega village. 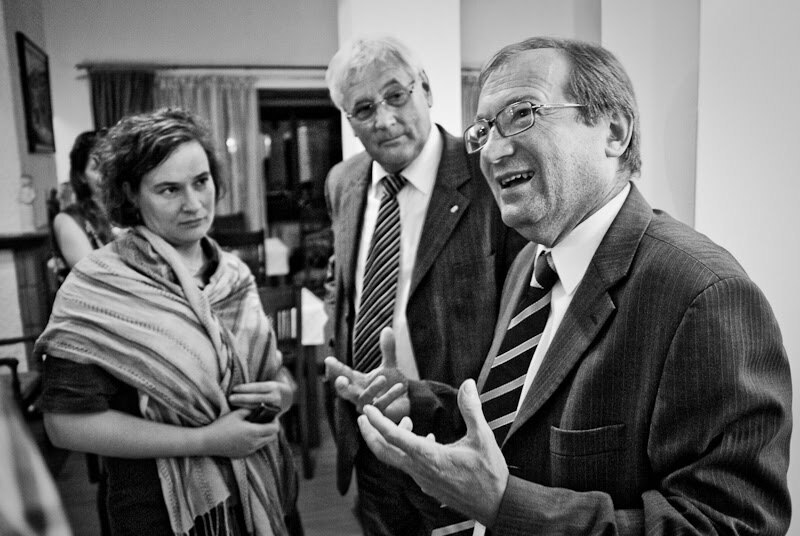 Hungarian ambassador Sándor Juhász (right) explaining his strange concepts of development to DemNet policy officer Brigitta Jaksa and Mátyás Firtl at his residence in Nairobi. 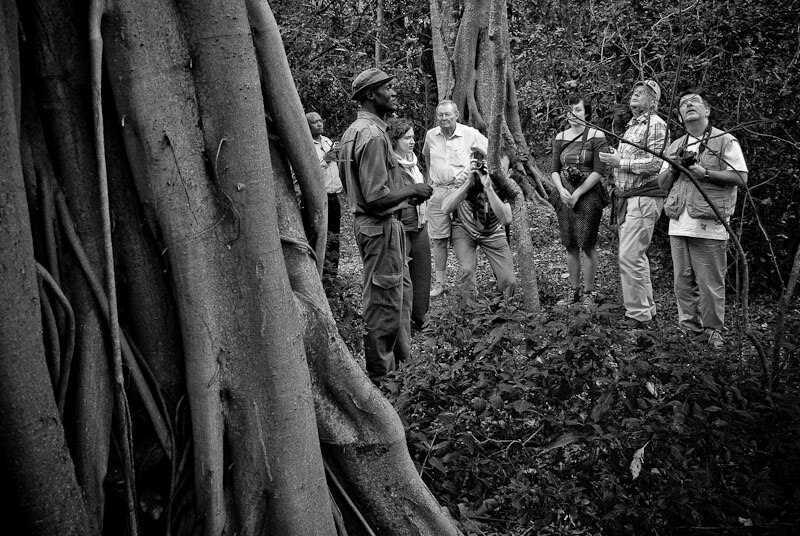 Hungarian delegation amazed by a large tree in Ngong Forest Wildife Sanctuary, Nairobi.